Creativity in bloom: Growing beyond boundaries was the theme of this year’s SCBWI Europolitan biennial conference held April 4 & 5 in the lovely city of Amsterdam. For those of you who missed out this year, here are a few highlights from this event. First, we are all very thankful to Mina Witteman, Netherland's RA, along with her husband, Job, CEO of the Amsterdam Internet Exchange for hosting us in their offices. The venue was perfect for the sold out conference with attendees coming from 14 countries. A big shout out of gratitude also goes to all the regional advisors and assistant RA's, including our own Patti Buff, who helped organize the event and made it warm and welcoming even from the first moment of arrival. The majority of each day was broken up into a wide range of Break-Out sessions for writers and/or illustrators. There were so many to choose from that everyone was sure to find just the right fit, whether you were a beginner or a seasoned expert. One highlight of mine was from Marietta Zacker, Senior Agent of the Nancy Gallt Literary Agency talking about finding 'Seeds of Gold'. “Writing is like painting a room and if you want your work to be in Architectural Digest then have you asked yourself is your room really ready for this?” Marietta's analogy of painting and writing continued on with many tips and advice on how to make sure your work is polished and ready to be sent out. Jill Santopolo, executive editor of Philomel Books/ Penguin Young Readers Group, led a fun and lively session where we all 'got into character' and she gave us theater tips and tricks to help bring our characters to life. This was a revelation and I will definitely be acting out my characters in the future and I will even be suggesting this exercise for future SCBWI critique meetings in Munich, too. Get ready girls! But don't think the entire weekend was all work and no play. There were lots of extra-curricular activities conference attendees could join including a Scrawl Crawl through Amsterdam, author readings at a local bookstore where Germany/Austria members Angela Cerrito and Amber Lough presented their books, a peer critique meeting as well as an evening canal ride organized by attendee Mayken Brünings from France. 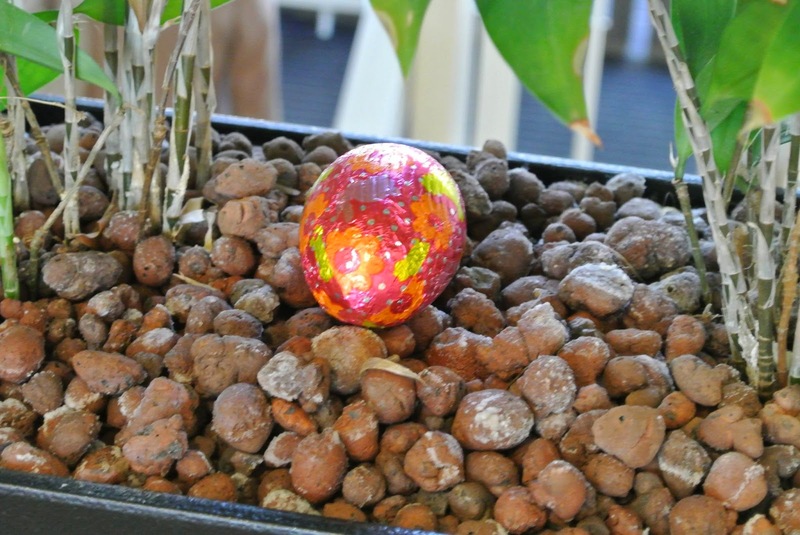 And just because the conference took place Easter doesn't mean we had to give up a traditional Easter Egg hunt. Authors Dee White, Angela Cerrito and Amber Lough after their readings. This SCBWI Europolitan Conference left me feeling inspired, moved and got my creative juices flowing even faster. I couldn't wait to get pen to paper, fingers to keys, any which way: I had to write! And on that final note I want to leave you with another word of wisdom that could be penned by every member of faculty that shared this weekend as it was heard so often, “Make sure everything you write moves the story forward - every single word.” Hope to meet more of you at the next SCBWI Europolitan Conference in Belgium, 2017! Tracey Jaffart is from Dallas, Texas and lives in Munich with her French husband and 12 year old son. She works as a Librarian/Teacher Assistant in a Bilingual School. Her debut children's short story will be published in Hopscotch magazine next year.